This topic, investigating Indigenous Americans, linked in beautifully with our current study of Indigenous Australia. It allowed us to gain a global perspective about Indigenous people and their cultures around the world, and in what way these cultures are similar or different. In the story of Iktomi And The Buffalo Skull, we learnt how Iktomi put his nose into other people’s business and ended up with his head stuck inside a buffalo skull! 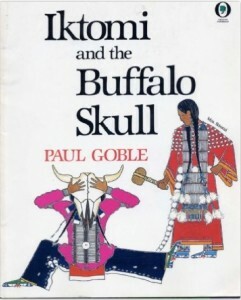 Through this story, we understood that the Plains Indians’ stories did indeed serve the same purpose as Dreamtime stories: to educate youngsters and give them the skills to survive harmoniously in their society. Following the story of Iktomi, Mr George Miller introduced us to a very important element of the Plains Indians’ culture: the bison. Through the presentation of artefacts, Mr Miller showed us how primordial the bison was to the Plains Indians, who used just about any part of the bison you could think of in their everyday life. The video below is a teaser for this fantastic lesson. To sign up for this lesson or others like it, visit Microsoft Education.